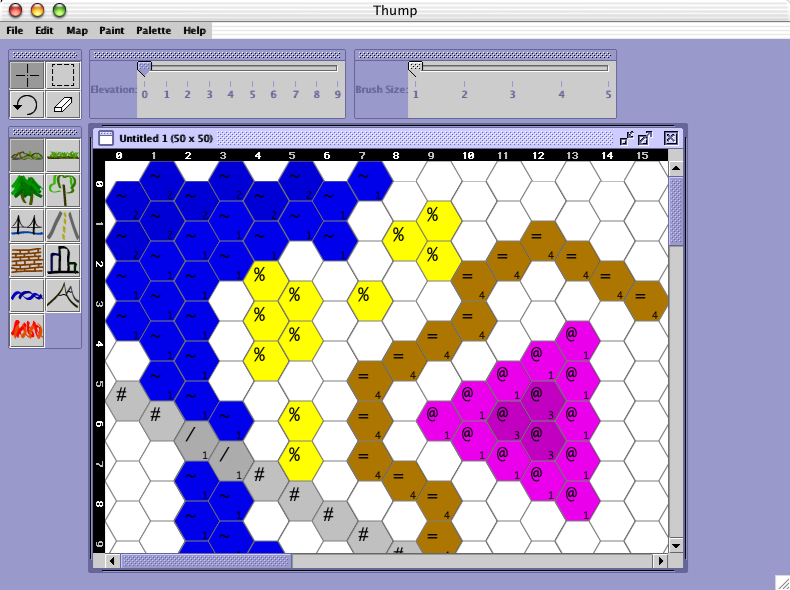 Thump is a graphical map editor based on the Thud code. 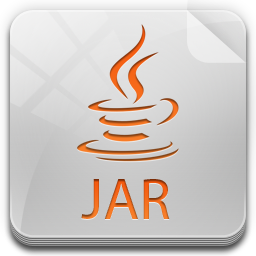 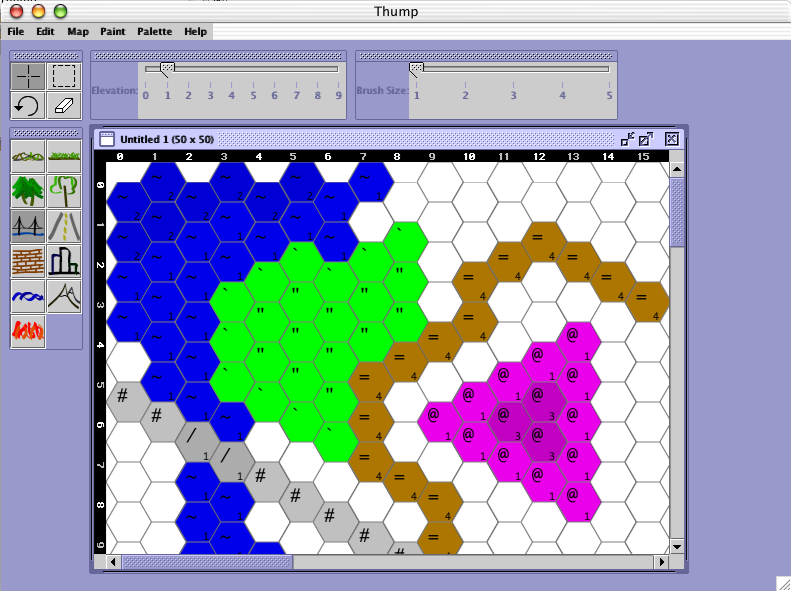 It features hex-by-hex undo, elevation and terrain painting, and more. 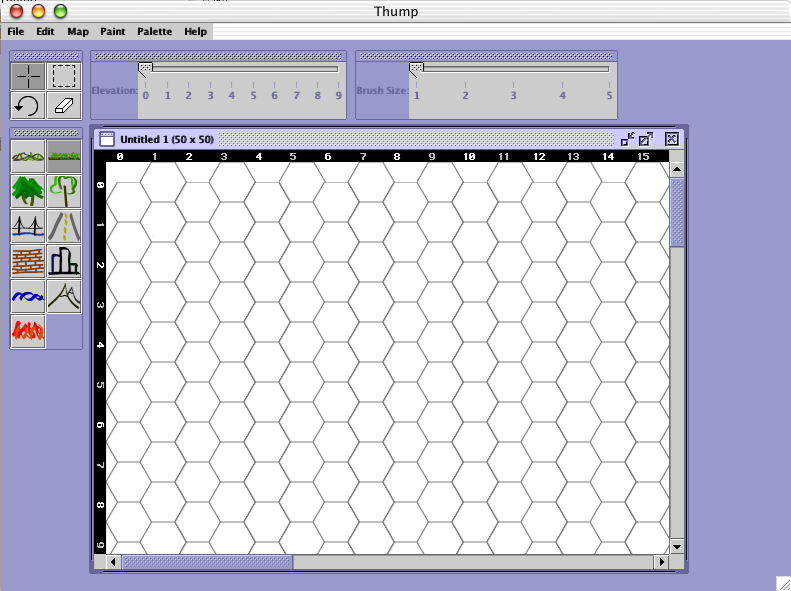 Thump is designed for people who want to create maps for any BTech MUX.